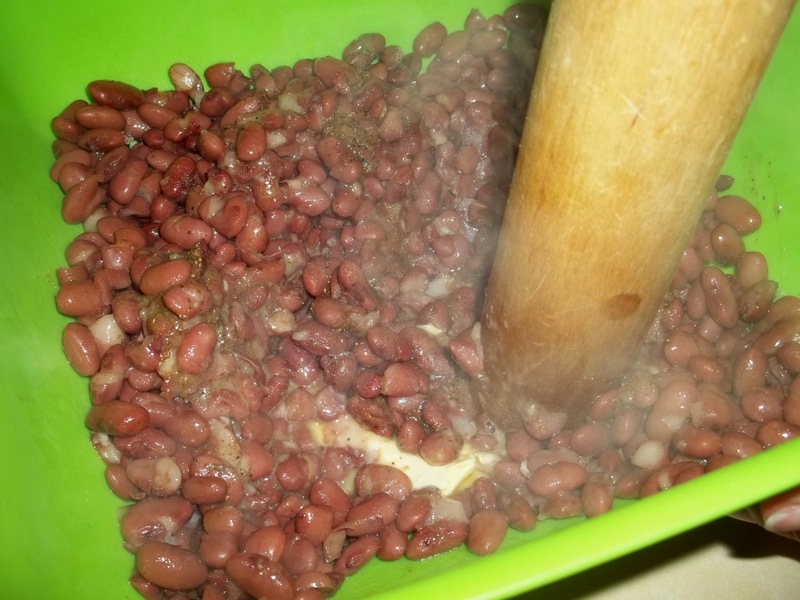 Kidney beans (lobio) are the main ingredient in Georgia’s famous Lobiani bean bread. 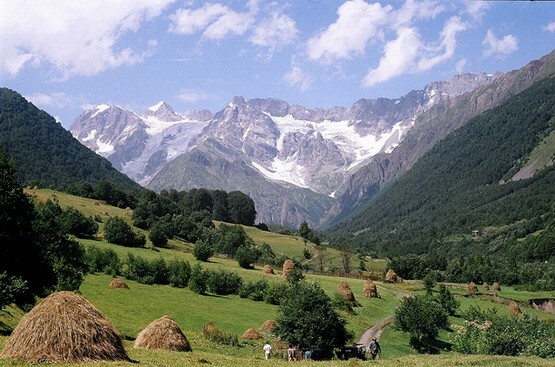 In this family recipe from Georgia’s Imereti region we show how to make a pastry filled with kidney beans, flavored with fried onions and spices. 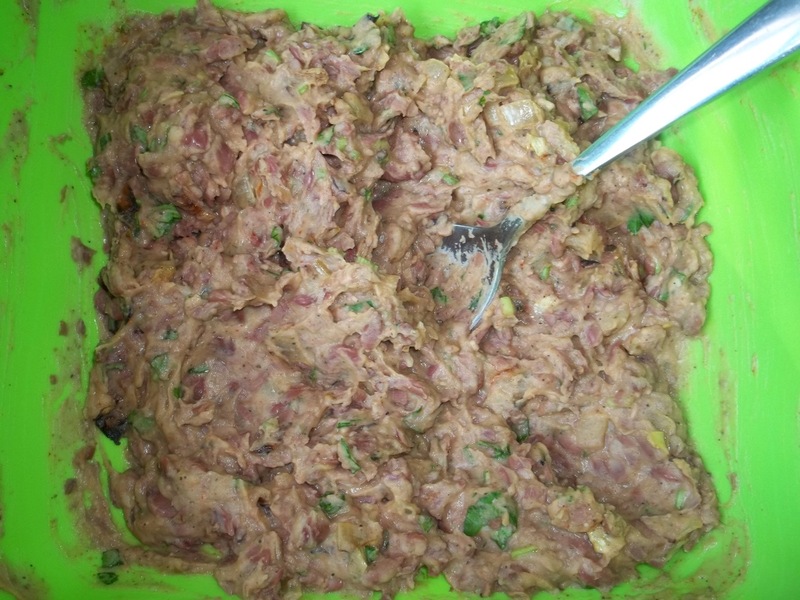 Ingredients (filling for 6 to 8 servings): 1 kilo of kidney beans, 4 onions, 80 grams of parsley, 1 tsp of dried coriander, 1 tsp of black pepper, 1 level tsp of Summer Savory, 5 tbs of oil (for frying onions), 120 grams of butter, 4 bay leaves, and salt (amount dependant upon personal preference). 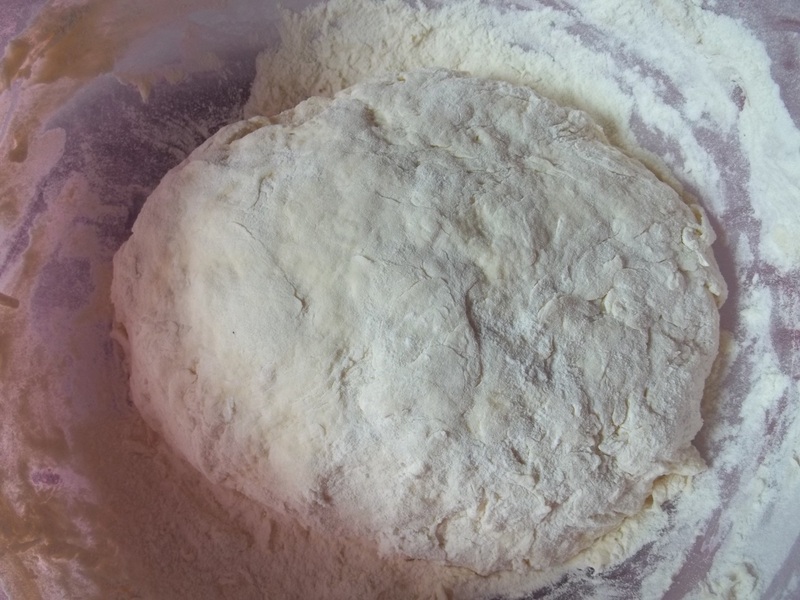 Ingredients (dough): 1 kilo of flour, 25 grams of dry active yeast, half tsp salt, 1 egg and 400 ml of warm water. 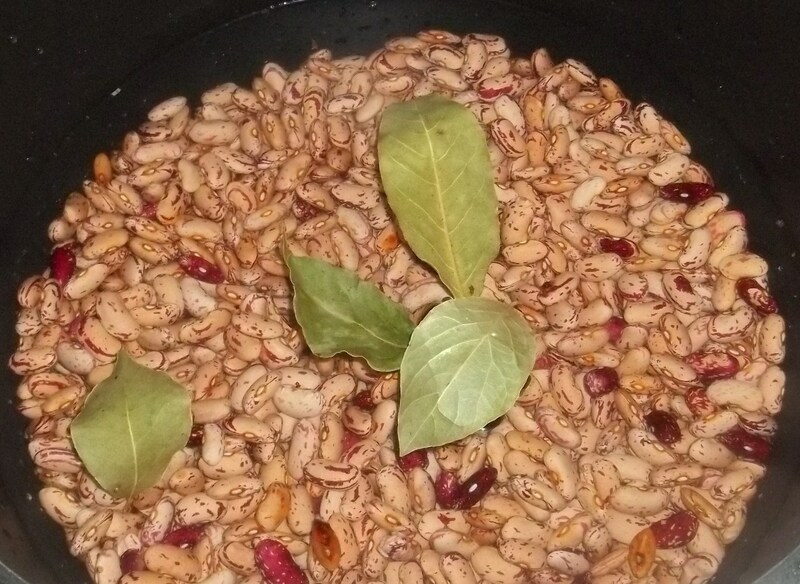 Preparation (lobio): Soak the lobio beans in a deep cooking pot of cold water for two hours prior to cooking. Drain water and add the bay leaves and up to 2 liters of fresh water. Cook on a medium heat. 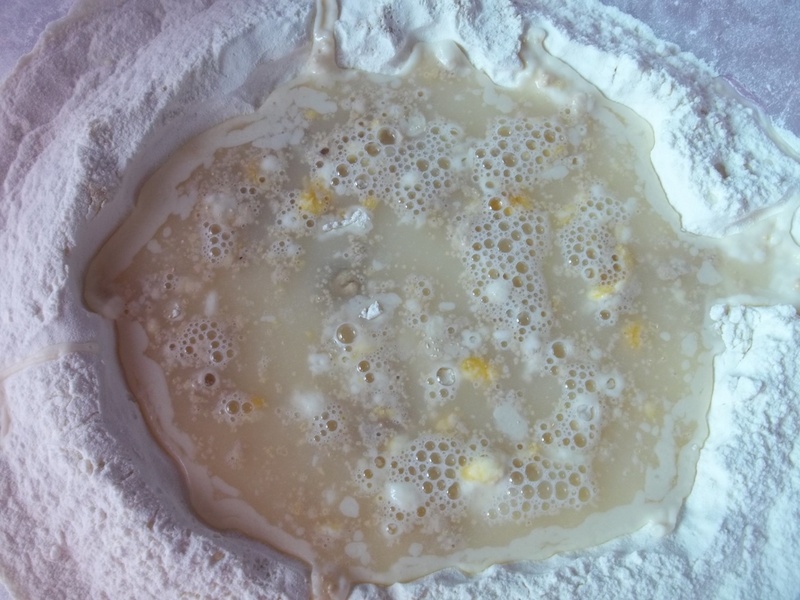 At this stage, you should begin preparation of the dough – see steps set out later in this recipe. 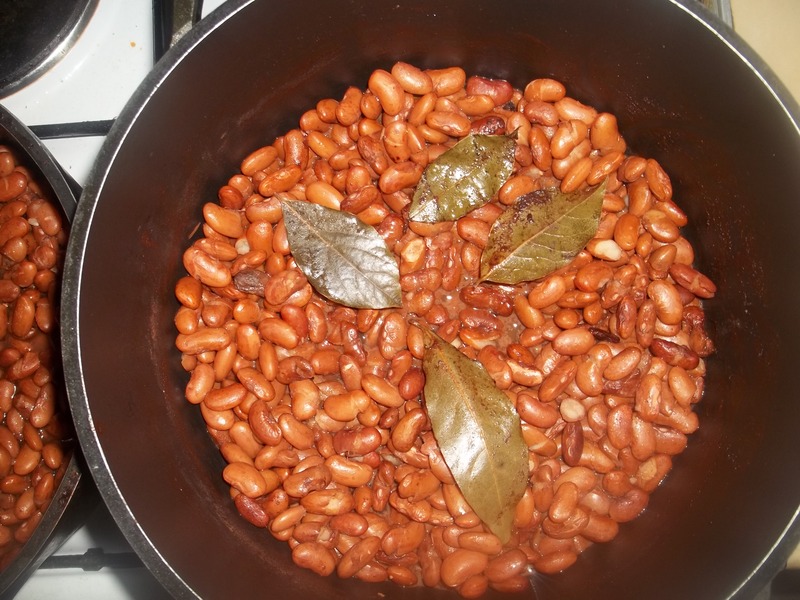 When the beans are cooked and tender, pour out 1 cup of the water (to use later) and discard the rest. 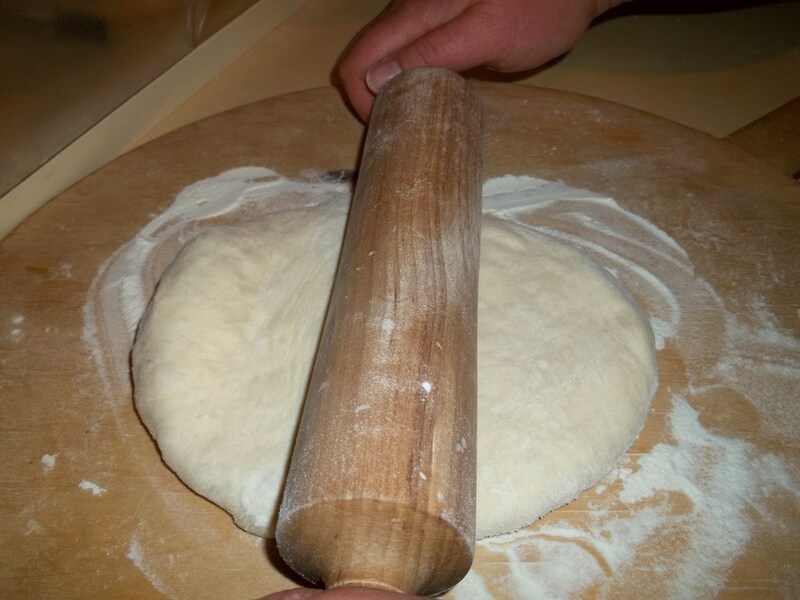 Preparation (dough): There are several recipes for making the dough but we find the following method to be the easiest way to prepare it. Add 700 grams of flour to a mixing bowl. 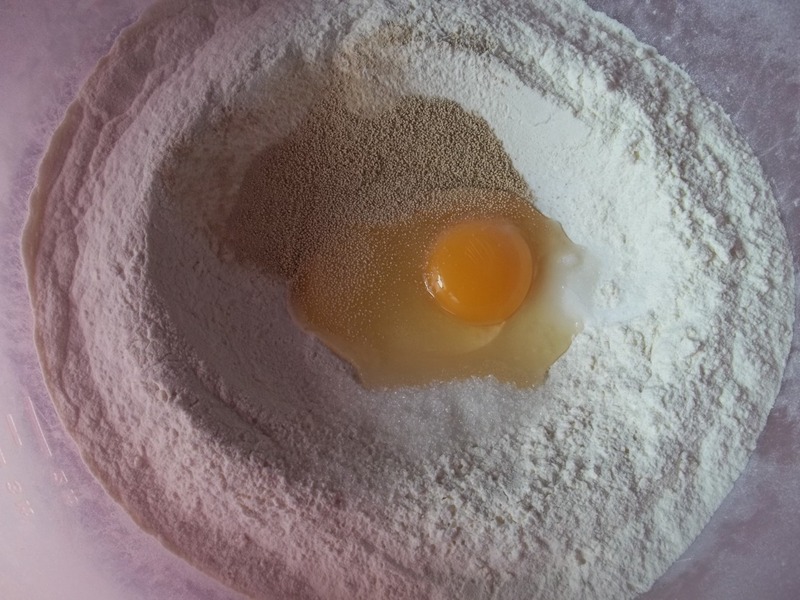 Make a hollow in the middle and add the egg, yeast, sugar and salt. Warm 300 ml of water or milk to 35 C and slowly add to the middle of the bowl. Mix by hand, working from the outside inwards. Use your hands to make a ball shape. 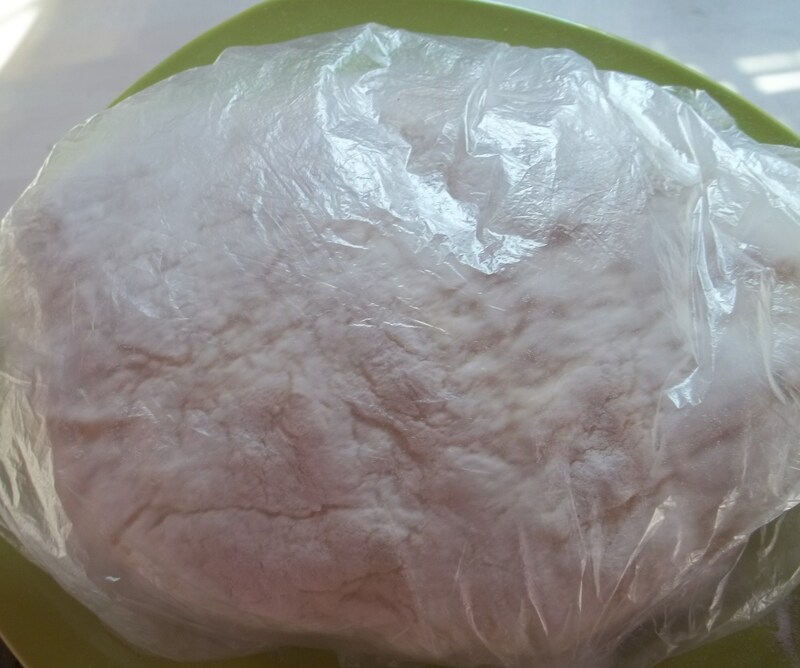 Cover the bowl with cling film and leave in a warm place for at least 2 hours for the dough to rise. 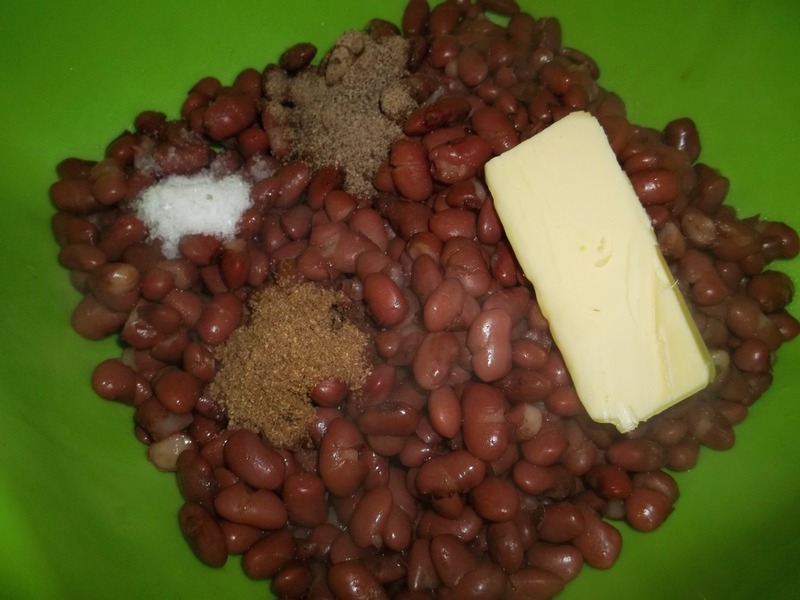 Add 100 grams of butter to the cooked kidney beans, together with 1 tsp of dried coriander, 1 tsp of black pepper, and salt (amount dependant upon personal preference). Mash the beans until they have the consistency of mashed potato. 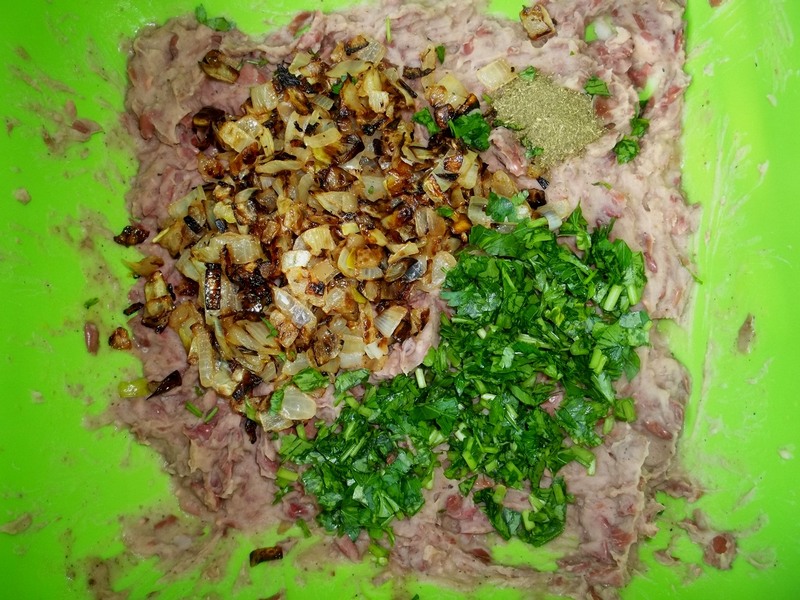 Chop and add the parsley, together with the fried onions, and 1 level tsp of dried Summer Savory. Thoroughly mix the ingredients. Use a little of the water saved from the boiled kidneys if the mixture is too thick. 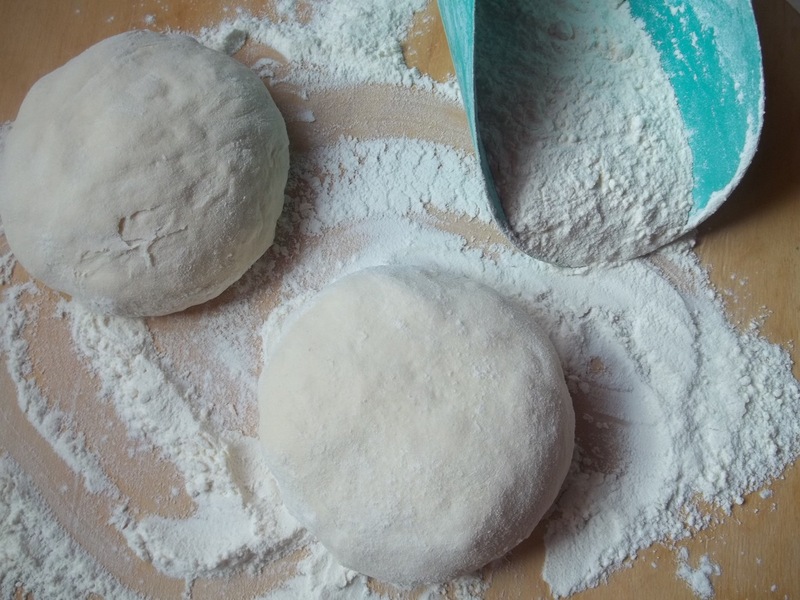 Sprinkle flour onto a preparation area and knead the dough before using. Leave for 10 minutes. 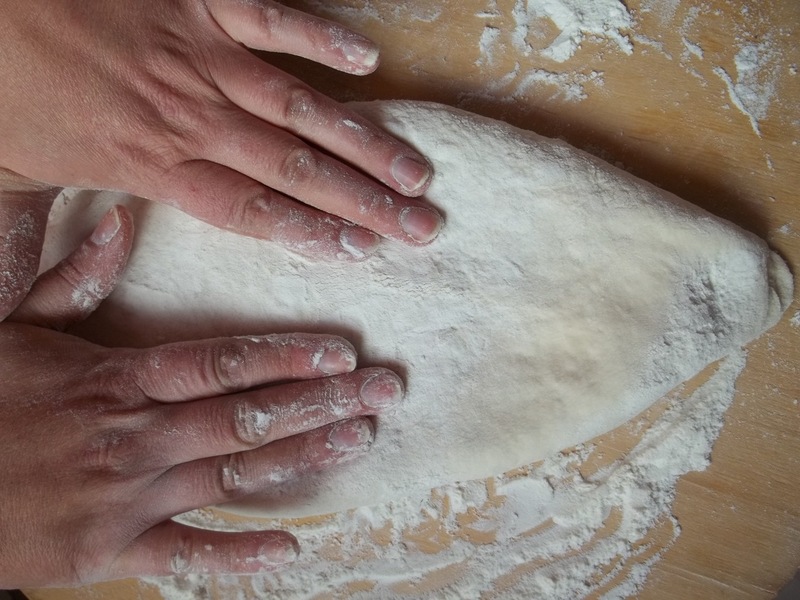 Separate the dough into 6-8 pieces and use your hands to mold each piece into a circular shape. Roll out each piece and then use your hands to create a flattish oval shape. 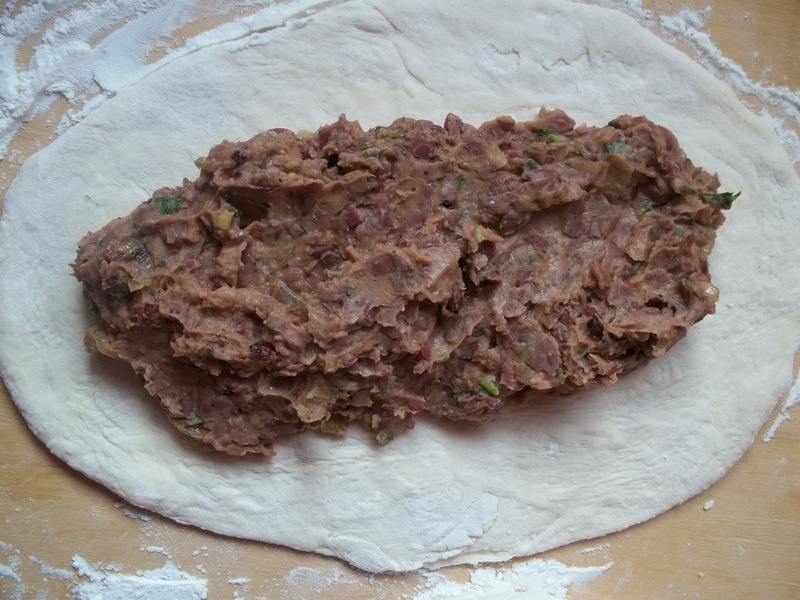 Spread part of the lobio filling onto the middle of each piece of dough. 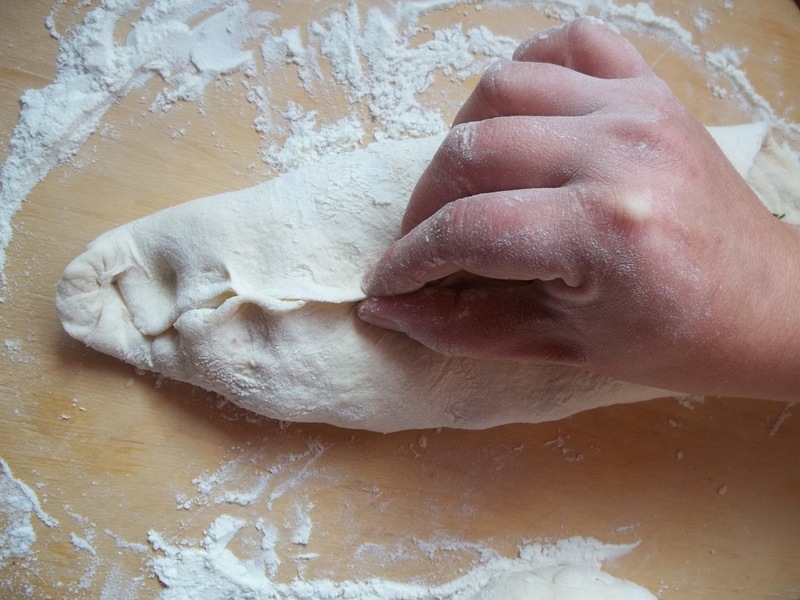 Carefully turn it over and flatten the dough, spreading the mixture to within 4-5 millimeters of the edge. 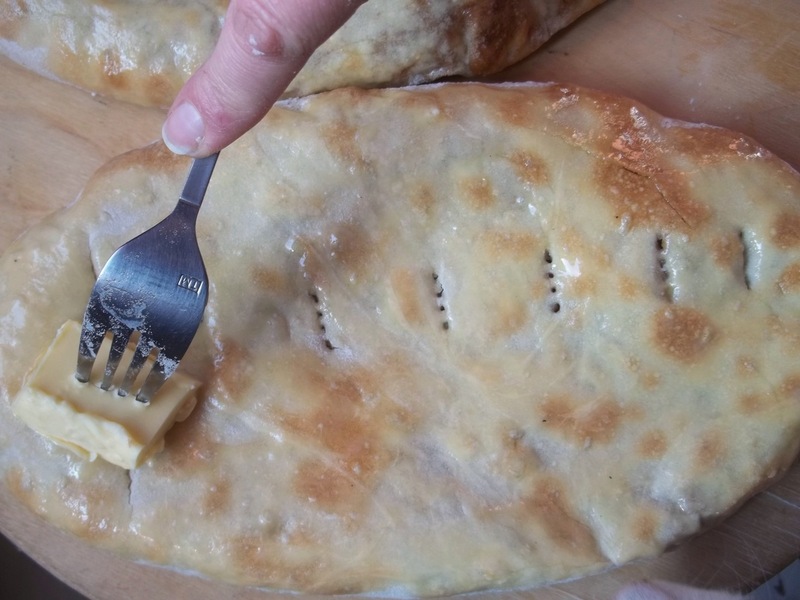 Use a fork to carefully prick the dough. This is essential as it will help to prevent the mixture ‘blowing out’ as it bakes. 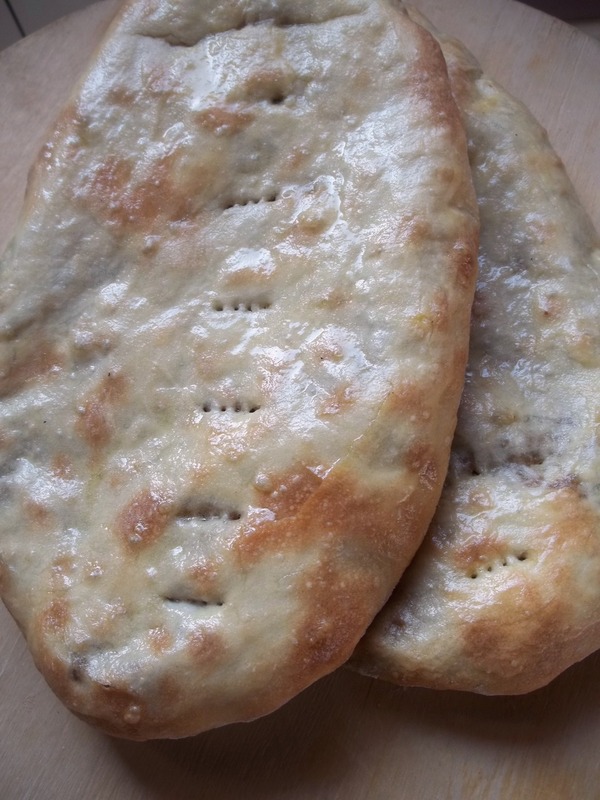 Bake in an oven on a low-medium heat for 15-20 minutes. 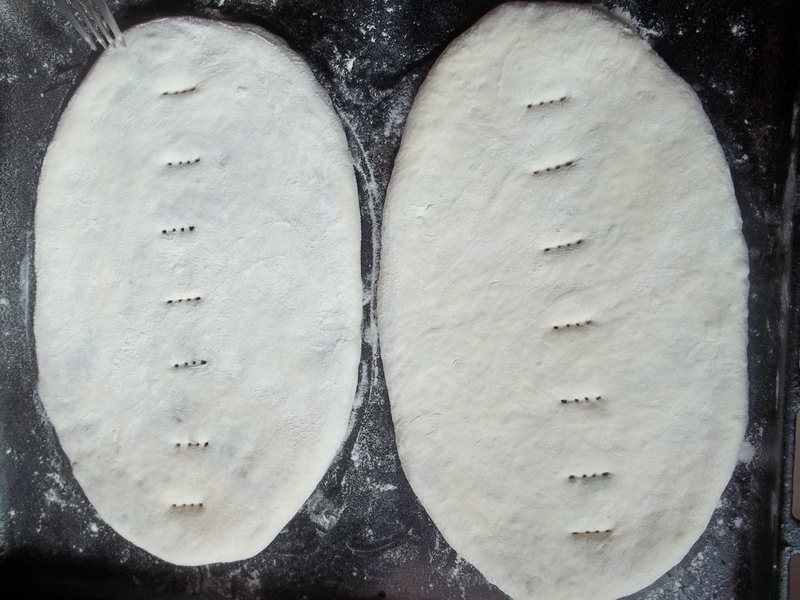 Remove from the oven and immediately rub butter on the surface of the pastry. This will give it some color but also prevent it from becoming hard. 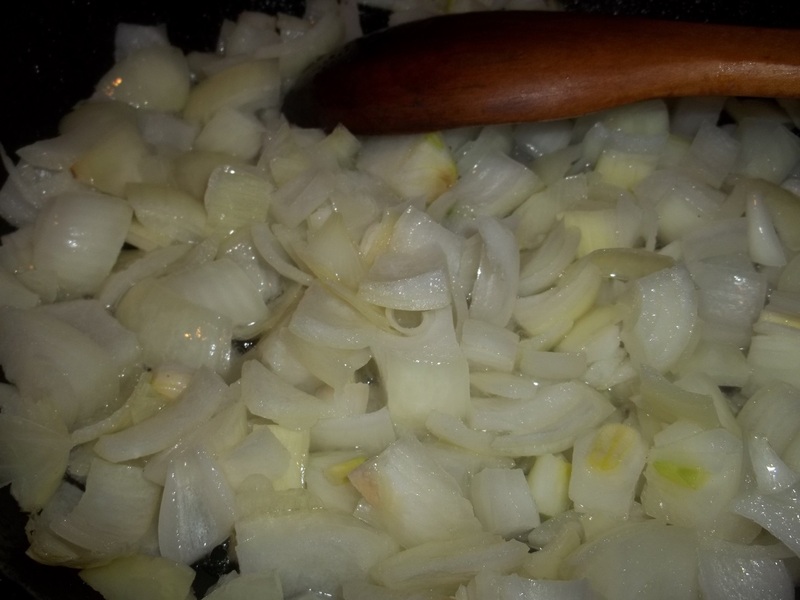 Enjoy your Pastry with Lobio and Fried Onions!